Big! Bold! Blasting! No one has ever rocked the streets like these print making, art hungry adventurers who screen-print their way thru our world to the cry of Dos Bandidos! It all started with a torrid love affair, amazing adventure, and an epic trip to Mexico. Dos Bandidos was born! 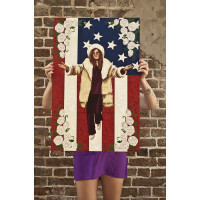 The lady is a mixed media piece that uses acrylic paint, spray paint, gold leaf, and screen print.. 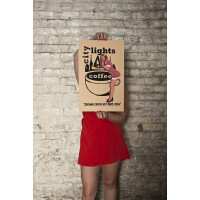 This hand-pulled screen print is a 1940s inspired print for the hippest coffee shop in Charleston.. 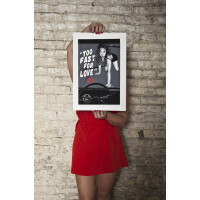 This is a hand-pulled screen print inspired by death proof, girl power, and muscle cars! This.. 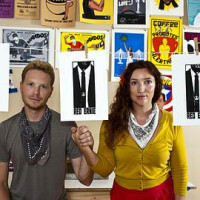 This is a hand-pulled screen print inspired by WW2 propaganda posters and coffee! 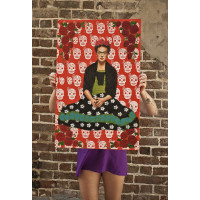 This print ..
Mixed Media piece "Frida" by local Artists Dos Bandidos in Charleston, SC. 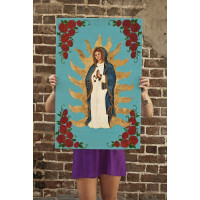 Includes acrylic..
A mixed media piece using acrylic pain, spray paint, and screen printing. Dimension: 32" by 2..